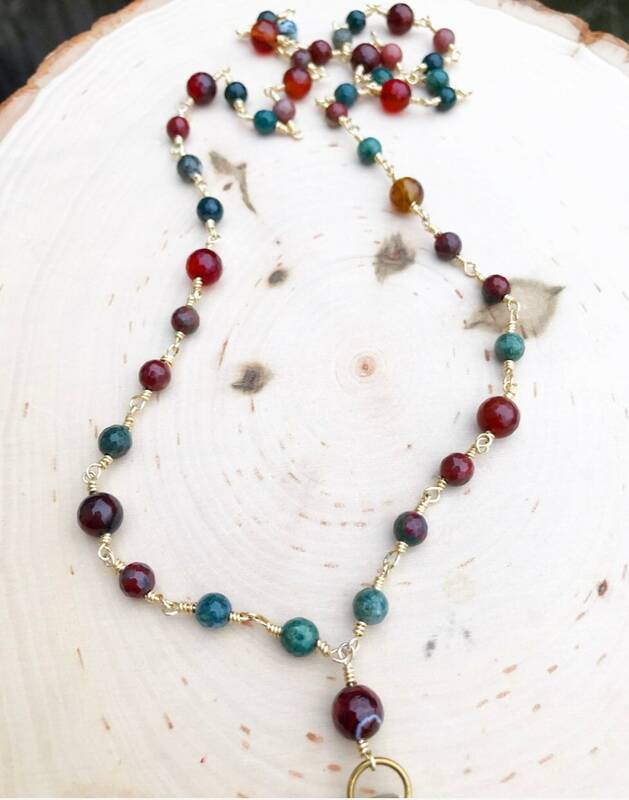 Handmade rosary style chain with gold wire wrapped agates. 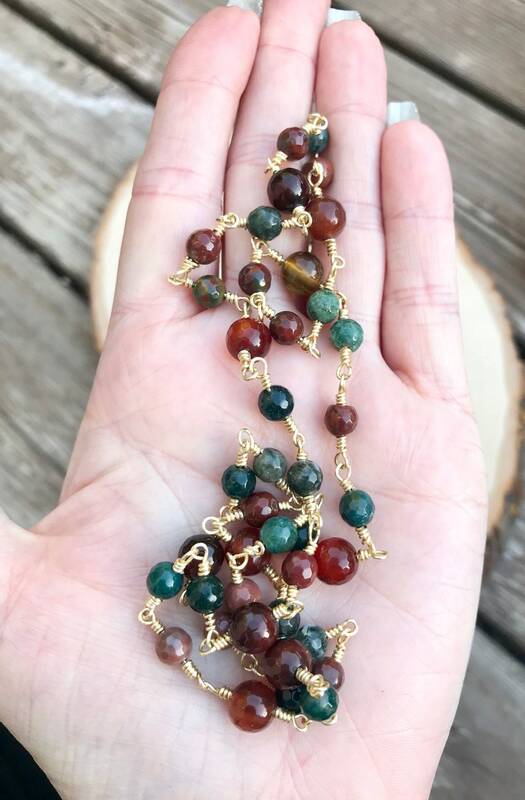 I used Fire agate beads and Moss Agate Beads as well. 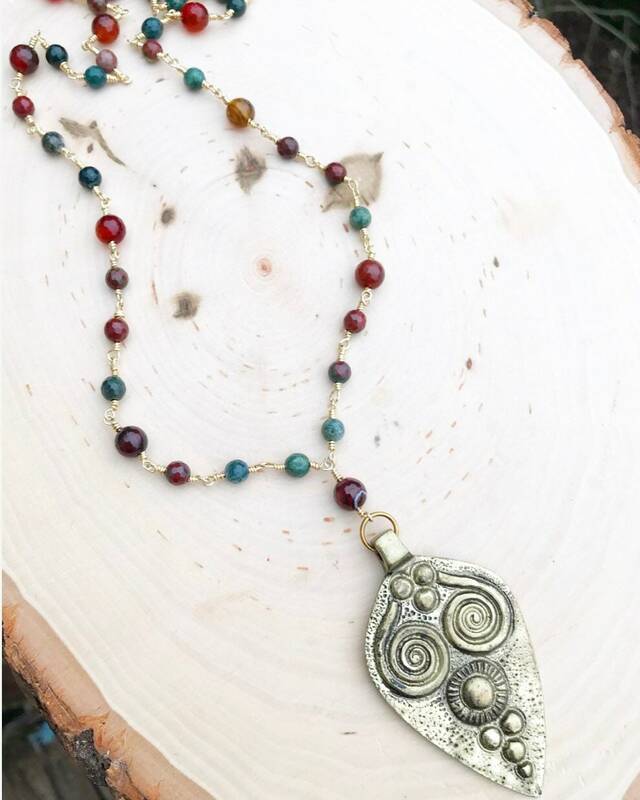 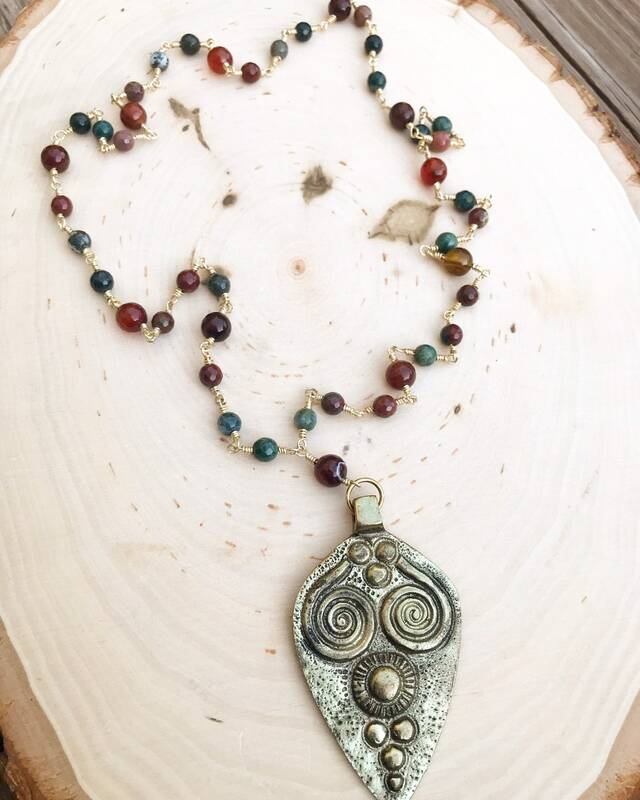 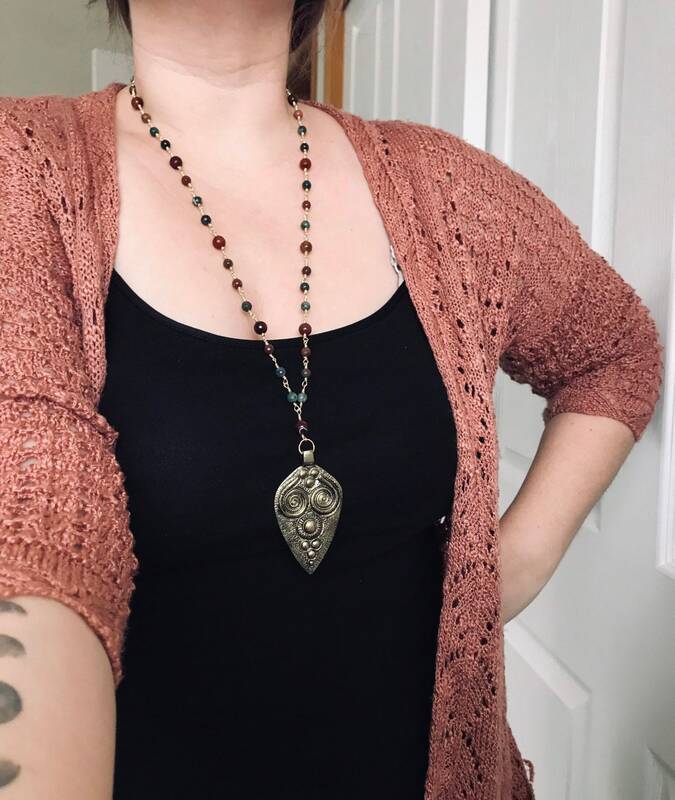 This necklace is long and hangs at around 32 inches with the pendant. 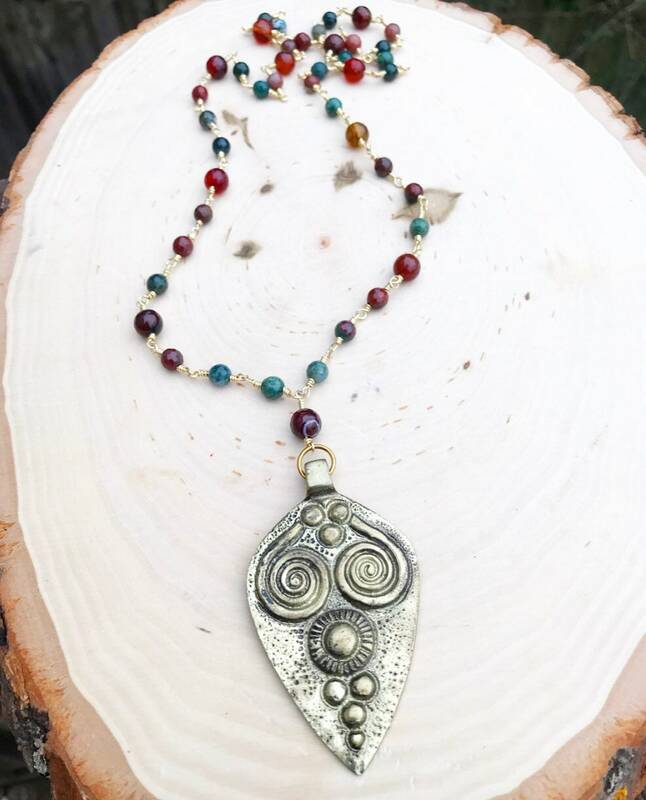 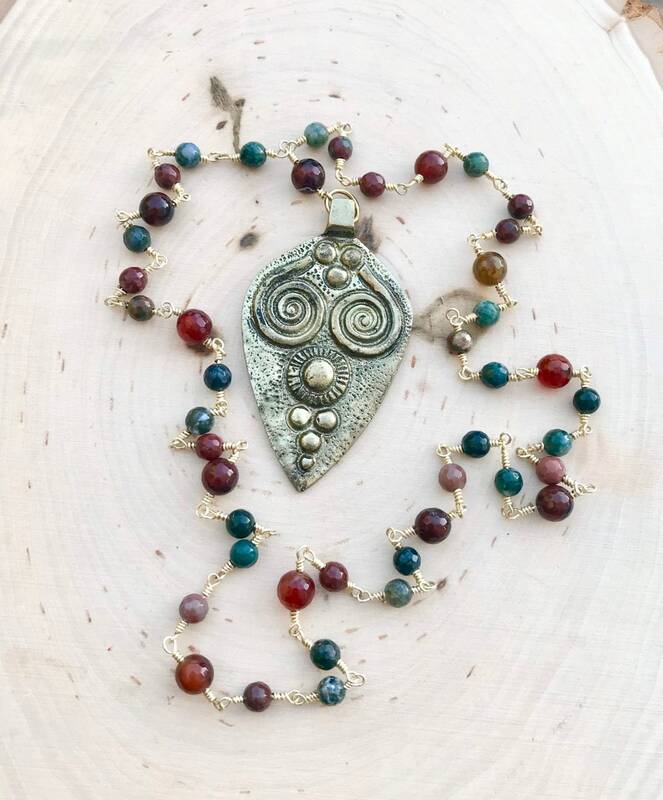 The pendant is made out of brass and has a tribal look to it. 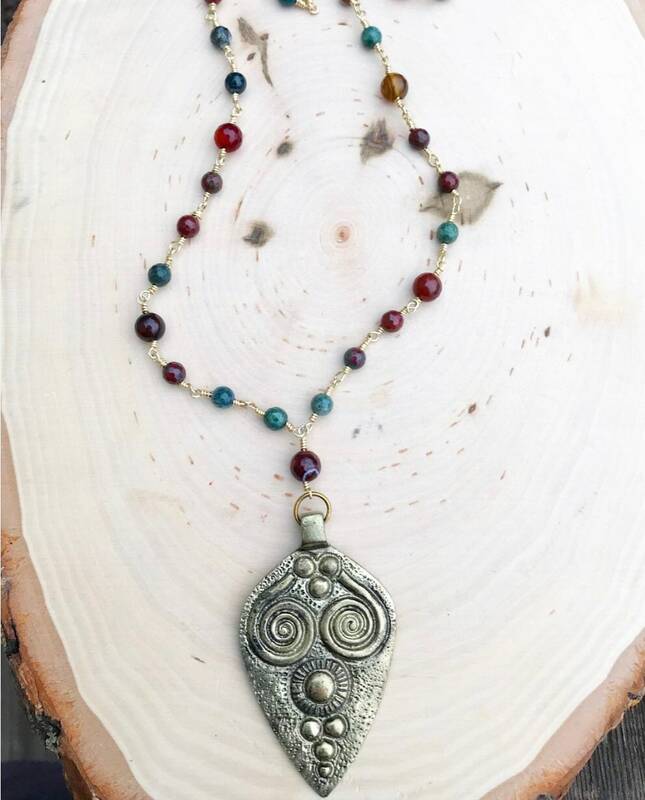 The pendant measures about 3.5 inches in length.